The saddest thing that can happen to a mother is to outlive her child. Sadder still when the child is young. Worse if the child’s death is a suicide. Worse yet, if the suicide is preceded by mass murder. Sue Klebold’s son, Dylan, along with his friend, Eric Harris, went to Columbine High School, shot and killed 12 of their classmates and a teacher, wounded 24 others, and then, on the count of three, shot themselves in the head. Sixteen years later, Klebold has courageously written her story. "[W]hat one senses in this account is a kind of openness, a willingness to keep looking for answers, and a dedication to helping others who have experienced, or fear they might be close to experiencing, even a part of [Klebold's] grief." The events at Columbine in 1999 attracted worldwide attention, with words like “senseless,” “brutal” and “shocking” being bandied about, as even those far away from the disaster struggled to understand it. 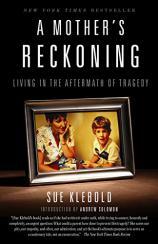 Understanding, for Klebold, does not come easy, as she examines in often pathetic detail her struggles with guilt, anger and post-traumatic stress. She recalls that not long before the shooting, Dylan, who had had scrapes with the law, seemed suddenly better and back on track. She opines that while many people overcome terrible life events, few who suffer from depression ever completely conquer those demons. Small details such as deciding to have Dylan’s body cremated so his grave would not be vandalized paint a poignant picture. Added to the Klebolds’ shock and despair was the plain fact that the victims’ parents, and many others, felt open, unalloyed hatred for their son. Klebold has had to overcome cancer and divorce, both troubles possibly the result of Dylan’s demise. She now works on behalf of agencies devoted to the prevention of suicide and its related mental health issues. 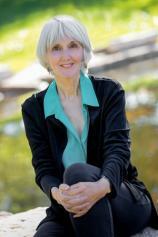 It would be unfair to characterize Klebold’s current fix on her son’s death as a form of “closure.” In fact, what one senses in this account is a kind of openness, a willingness to keep looking for answers, and a dedication to helping others who have experienced, or fear they might be close to experiencing, even a part of her grief.